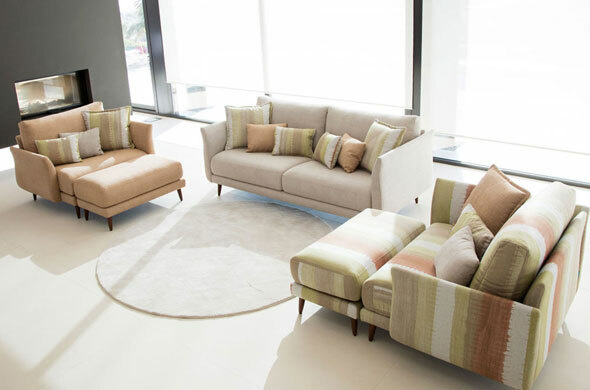 Fama’s large selection of Modern Sofas, will certainly allow you to find a perfect piece that will satisfy all your needs in terms of design, quality and comfort. Our modern sectionals are made in your choice of leather or fabric which you can select from hundreds of swatches in different colors and patterns. You can’t help the irresistible charm, magnificent style and comfort of our contemporary sectional sofa Manacor…its adaptable back cushions will allow you to find the perfect position to relax while sitting or lying on it. Our modular Arianne Love sofa is so chic and avant-gard, inspired by the modern sofa from the 60s, that this update version is already a modern icon among contemporary sofas. You will fall madly in love with Arianne Love! Not really a sofa, not really a love seat, MyApple is inspired on the traditional S-shape sofa but updated for the modern living. It is a special piece, inspired by the loveseats of the last century but adapted to present times. A new era has started in the world of sofa-beds! Indy by Fama is the revolutionary and innovative design, that will change from now on the way you sleep. A novelty and exclusive model, Mycuore is a versatile modern sofa/armchair, ideal for a compact urban space or for a large open space. MyNexus is a special piece designed for special people.Two pentagonal pieces that offer a new type of seat thought for the life in couple. The funky sofa Afrika has an organic and sinuous shaped, this model is one-of-a-kind, unique in the market for its curved design, this funky modular sofa is an exclusivity from the Famaliving Montreal collection. 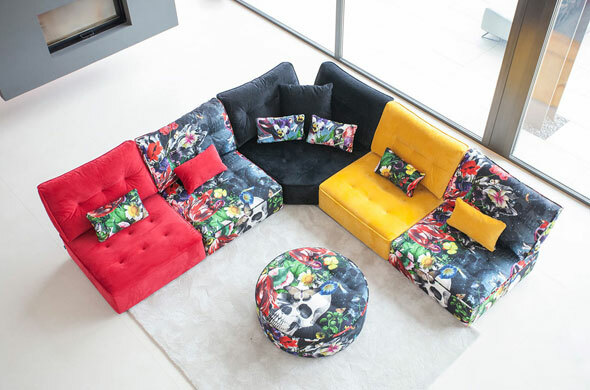 Not even Mozart could have dream of a modern sectional like our Fama model Opera! This elegant sectional has large size seats, comfortable back cushions, plus many small ones to create a dramatic composition. Nadine is a modular program with lots of cushions of different sizes that offers a fresh, current and timeless image. Design and comfort are guaranteed. It offers single units with footstools, double units, and an amazing double chaise longue to enjoy on your own or with your couple. Its rocking action provides a great comfort. 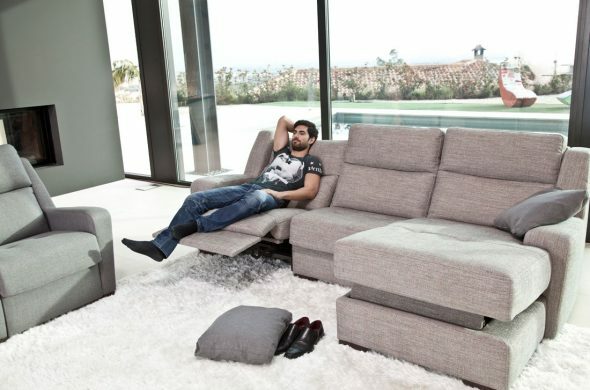 Avalon is a new reclining modular sofa. Contrary to the majority trends, we wanted to create a generously sized backrest that we equipped with a new button effect inspired. The Fama philosophy for modern furniture is clearly presented in the new sofa Astoria, a product not only good for decoration but also comfortable and customizable. A rigorous geometry reveals unbelievable comfort, clean lines and practical features in harmony with your need for relaxation make Madison the winning formula. A timeless design with modern comfort! Helsinki is an exclusive creation from Fama, it follows the current design trends,simple elegance and minimalist aesthetics. Panky is a modern, beautiful and comfortable sofa, exclusive from the Fama collection, inspired by another Fama model, Pantom, Panky is the improved version. Oh la la Josephine! Our elegant and stylish modern sofa yet inspired by classic lines and modern comfort, is one of the most captivating models from the Fama collection. The Fama model Pacific promotes flexibility and comfort. It’s design, modern and contemporary, can be altered with you personal customization. Compose the relaxing modern sofa you desire with the many possibilities that Altea offers! This stylish and modern sofa will be perfect for a TV room/home theatre. Calessi is the re-styling our model Calisto sofa. With very few aesthetic changes since its design remains completely current, only new arms and headrests have been created. The contemporary and elegant sofa Valentina is unique because of its variety of sizes and modules, both curved and straight. With such possibilities you can create the configuration you like. A very smart model with straight lines manufactured with a perfect finish in every single detail. 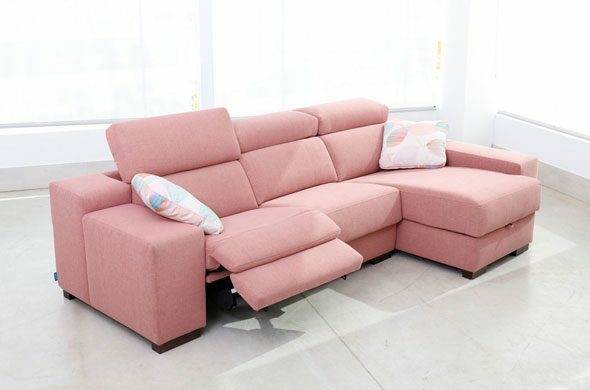 It offers a huge range of possibilities: static sofa, motorized relax, fixed chaise lounge, with storage and lifting footrest, etc. The sofa MySoul is a model designed for different people. It offers single units with footstools, double units, and an amazing double chaise longue to enjoy on your own or with your couple. The contemporary Boston by Fama is a model that will surprise you for its multiple modules. You will be able to choose from two size arms, and three size puffs, cushions, head rests, a pivoting base. Lotus is a fabulous modern sofa from the Fama collection, really a versatile option that will give you the choices you need to compose your own contemporary sectional. MyLoft breaks with the common belief of “low cost = tacky”. It is a model thought for all these young people who start living on their own, or for all those with a young spirit.